You've said you arrive back 5.30pm on Tuesday if you get the Monday ferry out you idiot. Check your posts. 48 hours, 16.5 hours to get there, an hour to get off boat and into centre of Amsterdam, roughly 5hours in Amsterdam, another hour to get bus back to port and back on the boat, then 16.5 hours back home. 40 hours with 8 hours spare for delays. So you arrive in Amsterdam at 8am Tuesday, leave at 5.30pm on the Tuesday, arrive back in Newcastle 5.30pm on the Tuesday? Thick as a castle wall you sunshine. Again, nope. Arrive back 5.30 Tuesday. Why are you asking for drink prices on-board on another thread? You've never been on this trip before. I'll spell it out for you, you leave on Monday (so thats day one - still with me? ), you arrive about 8ish on Tuesday (day 2), you leave at 1730 on Tuesday (yes, the same Tuesday so we're still on day 2), you arrive back in North Shields at 0830 on the Wednesday (day 3). If its anything like the London one, it needs to be at least 50% to even consider going. And even then, i wouldnt. 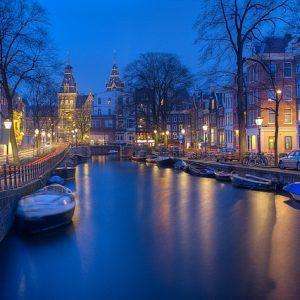 There would be plenty of things in Amsterdam I wouldn't know wether to believe it or not!! Its on offer at least until 26th of this month/ 9 days time. Hehe, Smirnof blue is a top vodka.But, you're right, it's hard to find it, only to order from abroad...I just have to re-order another case. Use David Urquhart as he's the best but he only goes from the North of England. The North of England is the best place to live! David Urquhart does this for £59 standard price ! I would need at least a day in body worlds, let alone the rest of it. Does anyone know what the deal is with taking our 2 year old? It says free for under 3s on Eurostar but with this site it doesn't give the option, i know it's for over 16s but if shes free she wouldn't need a ticket but also dont want to book and not add a child as you would on the other websites? I want to grab a snap deal from london to Paris as 2 adult and 2 children on 10th april and return 14th April. Do you think i can get snap deal for it? Does anyone know which day of the week the new tickets are released? Thank you! It's back and even cheaper! Sorry, this deal is NOT YET AVAILABLE !!!!! Whats the DFDS hospitality in comparison to P&amp;Os? I’ve done p&amp;o a few times but never had any recommendations with the alternative. Thanks. Just saying. I thought the berth was where the boat stays. Is a bunk a berth? Is a bunk in a berth in your own room? I know its a cruise but doesnt mean nautical terms have to be used. You're gonna have to get off that hay bale sooner or later. How long does it take to get to central? No offense, but if anyone else posted this it would go cold. It's hardly a Valentines deal, you're going to spend Valentines day traveling back to Luton. How romantic. Good deal, although flying from Luton is a headache. My favourite vodka. So smooth in mixes, no harshness. Best brand of Vodka in my opinion. Better then Absolute and Smirnoff. Heat. Quite like this vodka, it is a very smooth experience drinking this and don't tend to be too hungover the next day, will pick this up, cheers op. 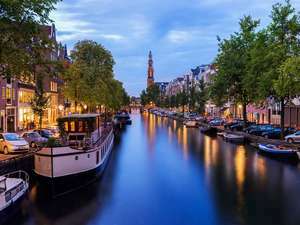 P&O ferries mini cruise break to Amsterdam, Rotterdam, Bruges from only £35 each. Any tips on getting to Hull from London without a car? Also I can't seem to get this deal working, 2 foot passengers, Sunday, to Amsterdam, 1 cabin, but it's not working at all. There is no yellow for me (mobile), but did click mini cruises. Tried a few dates in December and they're all over £100 - didn't accept code either. make sure you are clicking the minicruise button at the top of the yellow banner first. from thier website it says sunday-thursday sailings between 6th nov until 28th dec.
Be aware that the evening flight back from AMS is often delayed and sometimes cancelled. I've used Amoma a fair bit, no issues. I used them for my Amsterdam break, different hotel. Its always worth emailing the hotel directly after booking to check they have received your confirmation. Any reviews about this website? Stayed at this ‘hotel’ and decent enough rooms for the price. Rooms quite small, particularly the bathroom area. Easy enough to get to the main tourist areas by free boat but found this quite annoying having to time my returns appropriately to fit in with the crossings. Probably wouldn’t stay here again as for the first time ever was sea sick (doesn’t help that the boat also moves quite a bit as well). If your on a tight budget then certainly worth the money. Price based on 2 people sharing, return. Selected departures until 29 Dec. Book by 14 Dec.
A long ferry crossing is now marketed as a mini cruise? Can I interest you in tickets to the London M25 slow car parade? Perhaps the Heathrow cavity check? Free background checks included and the opportunity to upgrade to the intensive conversation package. Or maybe my patented wallet weight loss plan? How secure is your internet banking? We can test it! Watch out for the onboard Maritime data roaming charges!!! Take some heat boss !! Cutlery is the worst part... £5 for the rest is great deal! Chichester tesco yesterday bought one for £10 and another no cutlery £5 bargain!! I managed the £5 dinner set (plates/bowls only) deal at Wilkos a few months ago; this for £10 is definately a deal. Hot! My pocket guide...the Jamaica cafe. 1 Page it’s free:- Step 1) Locate Closest Coffee Shop Step 2) You’ll forget the rest no point. Good find (y) @kirstykelly85 which store was this? There were tickets from London to Paris on December 7th and return on December 9th for £29, though they were not shown as promo fare. Is this a standard fare? us millioniaires care more about a good deal than those poor people outside the M25 that's why we are millionaires you know we didn't get rich by wasting our money old chap. Yeah I hate unfriendly people. Especially those that give out insults 6 months after receiving a message. any idea how long they take to restock? Woah....how strange... got mind the next working day lol. Funny how amazon works. Oh well, not as slow a delivery as I thought! 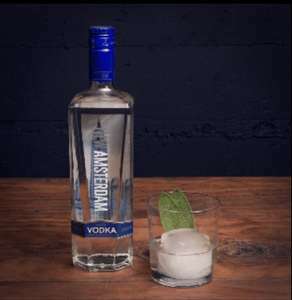 "Your Amazon.co.uk order of "New Amsterdam No. 525 Premium Imported Vodka" has been dispatched Arriving: Friday, September 7"
Tito's Vodka is £19 on Amazon as well and has been for a while - though it seems to say Prime Members Only Price now (nobody seemed that excited by my Deal post, though :p ) Sis ordered quite a while after this was posted, so not sure when you'll get yours, but I got this in an email today "Please be advised that we have a revised delivery date for the items you ordered on August 23 2018. "New Amsterdam No. 525 Premium Imported Vodka, 1 Litre" Estimated arrival date: September 26 2018 - November 06 2018"
Why would people who aren't being paid post deals? I don't think anything as I've never been on a ferry. So don't know if it's a smooth ride or not. I've tried most including ones that you cannot buy over here. Like I said vodka is vodka. I'd put £100 on after 5 shots if I switched a premium vodka out for Russian standard you wouldn't be able to tell it had been switched. I recently just bought a £40 bottle from m and s in a black bottle. Small batch 7 times distilled and charcoal filtered. Last month I bought a 1.75 litre of crystal skull for my collection. I went a month ago and stayed in a different XO hotel and it was really nice (XO city centre is only £40 a night if you don't mind a room under ground without a window (lol) ). If you fly I'd recommend getting a transport card from Schiphol airport, at the IAmsterdam shop because all Amsterdam transport is card only, unless you have the correct change each time. I go almost every month, usually by car. It’s still lovely and feels safer than London.